Is your cat a picky eater? Or perhaps, for health reasons you need to change her diet. However, our feline friends are notorious for being set in their ways, preferring to starve than eat something they don’t recognize. This is ironic, after all what could be less appealing to eat than a dead mouse (the cat’s natural diet)? Yet when you offer her a tasty morsel from a premium brand, she turns tail and walks away. So how do you overcome this frustration and get a picky cat to eat? Does the Cat Actually Need to Eat More? It might sound strange, but first be sure your cat is actually picky and isn’t just good at judging when she’s full. Some cats are, and the appetite switch flips to “Off” once she’s taken in enough calories. Is the cat under or over weight? Have her eating habits changed recently? Is she bright and well, or does she seem poorly? If the cat seems well, has always been fussy, and hasn’t lost weight then this ‘fussy’ cat is doing just fine and don’t waste energy worrying about her. Of course, if her habits have changed recently and she’s gone from a good eater to fussy then this is a whole different ball game and she could be ill.
To test if your cat is overweight, feel for her ribs. If they’re easy to feel then she’s not overweight. If there is a layer of fat between your fingers and the ribs, then she has too many layers of love. So again, the ‘cuddly’ cat that’s always been difficult to feed…is fine, that’s just the way she is. We tend to think cats need to be heavier than is actually healthy for them; whilst a cat on the lean side is much less prone to health problems such as diabetes, arthritis, and joint disease. Before we go any further, know about the 24 hour rule. This is: If your cat doesn’t eat for a day, she should see a vet. This is because when a cat starves for more than 24 hours it puts a big strain on the liver. The latter risks being flooded with fat that’s been mobilized to provide calories, and in so doing pushes the liver into a form of failure called hepatic lipidosis. OK, so you have a genuinely fussy feline, what can you do to turn things around? It’s a good idea to check out the basics first, and make sure your cat has the perfect dining conditions. See how many of these you put a tick next to. Separate food bowls from water bowls: Throw away those double diner bowls. Behaviorists know that cats dislike having their food and water side by side. Their ideal is to have their water within sight of the food, but not immediately adjacent. In your quest to create the ultimate dining experience cats also prefer running water, such as a cat fountain rather than drinking from standing water. Separate bowls for each cat: If you have more than one cat, make sure you have one bowl for each cat and avoid putting the bowls side by side. Placing them in different locations this means one cat is unable to dominate the food bowls and stop a shy cat from approaching the food. Quiet location: Make sure the bowls aren’t next to a tumble dryer or a window overlooked by neighborhood strays. Anything that could frighten or intimidate the cat may make them feeling insecure when eating, so she only eats when absolutely necessary. OK, so you’re doing everything correctly and still have a fussy eater. What do you do now? How do you get away from your cat only ever eating half a pouch of food? Here are our top tips for making Kitty keener to eat their chow. Add fish liquor: Poach some white fish in water to get fishy gravy. Add a little of the liquor to the food to make it extra tasty. You can keep the remainder to use later by decanting the gravy into an ice cube tray and freezing it. Then defrost a cube at a time as needed. Fry garlic in oil: Strain off the garlic and discard, then mix the oil flavored with garlic into the food. Remember, garlic can be toxic to cats in large quantities, but garlic flavored oil is fine. Stir in something tasty: Top of the pops for tasty food additives include a little tuna, chicken, or Parmesan cheese. Indeed, ask your vet about Fortiflora which is a feline probiotic and also very tasty. Warm the food up: Food at blood heat is more tempting that cold food. Gently heating the food up releases more of the tantalizing scents that make food more appealing. Change free feeding to mealtimes: If food is available all the time, consider switching to set mealtimes. There’s nothing quite like the absence of food, to focus the mind when it does appear. Playing with food: Trying playing with your cat before mealtimes in order to hone her appetite. You can also try playing with a laser pointer, and then finishing the game with the red dot on the cat’s food bowl. 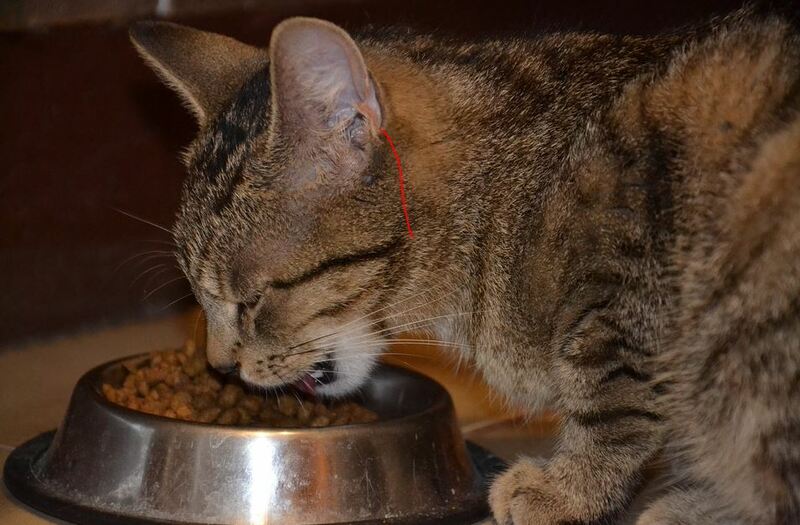 This triggers hunting behaviors with the cat catching the red dot on their food, making her keen to eat their ‘kill’. To Finish, a Few Words About Sick Cats. The above strategies can also help a sick cat to eat. But it is useful to understand what’s known as ‘food aversion’. This means that foods that are offered when the cat feels unwell may be rejected in the future because the cat links them to feel sick. In practical terms, it’s best to avoid offering your cat’s regular food if they are ill, because there’s a chance when they feel better that they may bear a grudge against that food. It’s better to offer something novel that you’re unlikely to feed in future, just in case they develop an aversion to it. Dr Elliot is a veterinarian with over two decades of experience in companion animal practice. She lives near London and is currently guardian to four highly individual cats.